Providing decent and affordable housing for low and moderate-income families is an important goal for AAmagin Property Group. Leaders and employers across the State of Louisiana rate the availability of housing as a major weakness for economic development. Moreover, the number of major hurricanes impacting the Gulf Region and the deepening capital market crisis and its adverse effect on impoverished to middle income Americans, as well as the rise in the cost of basic consumer goods, devaluation of property values, restricted access to capital and credit, reduction in viable lenders and investors, have slowed and to some extent derailed the start of construction and economic development for many post Katrina, Gustav and Hurricane Rita. One of the most pressing needs in the recovery effort in Louisiana right now is for workforce affordable housing. AAmagin Property Group specializes in affordable housing homeownership initiative designed to provide affordable housing for working families. 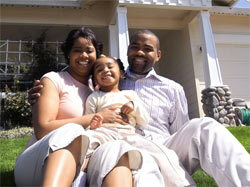 We offer a homeownership opportunity ideal for families, couples, single parents or retirees. Close to local business and schools, our family communities also features amenities such as a sparkling pool with pavilion, Class “A” License on-site daycare center, along with on-site business center.